In 1966 the British had at last started to replace the venerable Centurion with their first Main Battle Tank, the Chieftain. The Chieftain would soldier on as a gun tank until 1994 and achieve reasonable overseas sales before being replaced by Challenger 1. 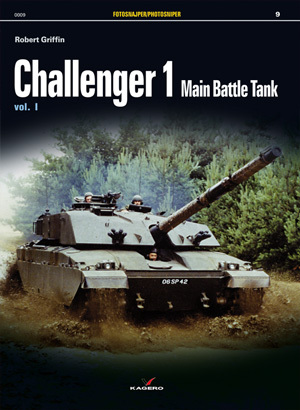 It sounds very simple enough but the birth of Challenger 1 was anything but simple, for apart from all the usual criteria that affect tank design, politics probably have sometimes more influence than most, it was certainly the case for Challenger 1. Once a new tank enters service and the vehicle procurement program is running well, design priorities switch to its replacement. This was especially true during the Cold War, and much as the 1950s had yielded technological innovations in many types of weapon systems, the 1960s had also seen advances of cardinal importance to armoured fighting vehicle design. The Chieftain entered service in 1966 and was slated for replacement by 1985, a service life it would exceed by nine years. In the case of the Chieftain the choice of a replacement was complicated by a weak national economy and repeated defence cuts. Much of the research necessary to develop a replacement consisted of paper studies while the Chieftain itself went through its lengthy teething troubles. One such study survives from February 1976 (conducted by the Ministry of Defence and carried out by two civilians, and a major from the Royal Artillery). It lists the options for a possible Chieftain replacement for use in the 1st British Corps area in West Germany in the 1980s. The following suggestions were listed as serious options for a new British Main Battle Tank. It must be borne in mind that these were only paper suggestions (although the FV4222 was an updated specification for the FV4211, a design worthy of discussion). The report did not really reach any fine decisions and was a paper exercise, but the options it listed show clearly that by the mid 1970’s a great deal had transpired in the world of tank technology, developments that had given awareness of the need for a Chieftain replacement some urgency. It also shows that as late as 1976 the Ministry of Defence was far from specifying its new MBT by even basic design parameters. It is likely that with Royal Ordnance Factory Leeds busy with Chieftain production, a certain amount of consideration was devoted to keeping the replacement’s general layout along the same general design parameters. This is a potential explanation for Chieftain Mk.5 derived options in the 1976 list. 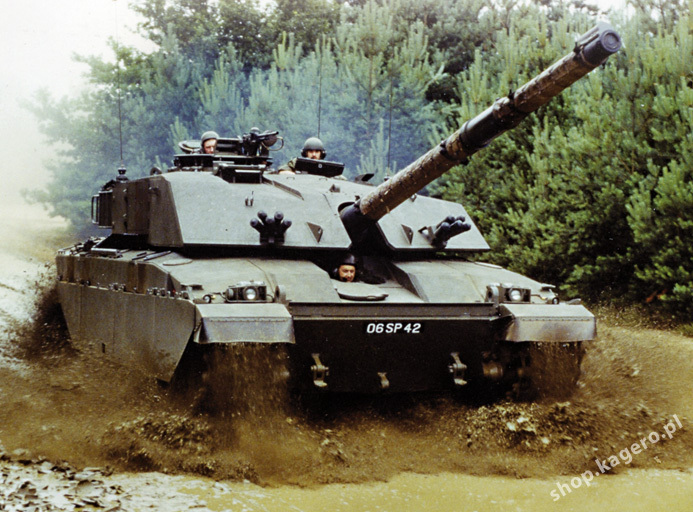 The principal technological development that was not included on the Chieftain series was Chobham armour, an innovation developed in 1964 when the Chieftain design was already finalised and in production. Alternately known as codename Burlington and codename Dorchester, two versions of this armour were in advanced stages of development and ready to test fit to an MBT by 1969. Chobham Armour was a quantum leap forward in the protection of armoured vehicles, and remains the optimal means of protecting an MBT even 40 years later. The potential advantage for a British MBT protected with Chobham armour in a tank versus tank engagement was plain to see. In 1970 the Fighting Vehicle Research and Development Establishment (FVRDE) constructed an experimental tank based on Chieftain tank components at ROF Barnbow, the first AFV to use the new armour. This tank, the FV4211, mentioned in the list above, was a truly innovative departure from an orthodox battle tank of its generation, representing in many ways the first modern MBT as we currently define it. The FV4211 was often known as the Aluminium Chieftain, and it was built using available components with a composite welded aluminium hull and turret. The use of aluminium was very much in vogue for the construction of lighter vehicles at the time and the FV4211 was the first MBT built on this basis. A welded aluminium hull and turret offered advantages in both in cost and weight. It was of a similar layout to the Chieftain both inside and out and utilised the same 120mm gun and 7.62 GPMG machine gun armament (and employed the L60/TN12 powerpack). While the Anglo-German FMBT project had been running, the Iranian Army had been shown the FV4211 prototype and had been explained the potential benefits of an MBT fitted with Chobham armour. The FV4211 had impressed them very much and was obviously a quantum leap ahead of their fleet of Chieftains, so in December 1974 they placed another large order of 1200 more Chieftains, but of an improved version, including the replacement of the troublesome L60 power pack. Development of a new power pack was given to Rolls Royce based on the CV12 diesel and David Brown was contracted to develop the new gearbox. Once these two components had been married together to form a power pack it was realised that in its present configuration, the existing Chieftain hull was not large enough. A new hull was to be developed for it, which led to the creation of the FV4030 specification, the basic design being partly based on the FV4211 but at the Iranian insistence it was to be built with conventional armour steel for hull and turret. Long term trials had proven that the technology for the steel/aluminium hull initially proposed was not advanced enough and cracks had been discovered in FV4211’s aluminium plates. This decision ultimately led to the demise of the FV4211 project, and no further all-aluminium MBT hulls have been built in Britain, with only the single prototype at Bovington left to tell the tale. While the design of the new Iranian tank was moving ahead a batch of 150 Chieftains were produced with automatic gear boxes, improved mine protection and increased fuel capacity, designated FV4030/1. The FV4030/2 scheduled to follow (which was also known as the Shir Iran or Lion of Persia) was more commonly known as FV4030/2 Shir 1, and it basically was the front end of a Chieftain hull with a new engine compartment with a prominently sloped rear hull plate to accommodate the new power pack. The first three prototypes of the vehicle were ready and running during the early part of 1977, and in March of that year they were demonstrated to the Iranian Army The Shir 1 was vastly improved vehicle with up to 1200 bhp available from the new CV12 engine, a smoother ride (with the promise of hydropneumatic suspension developed by Dunlop and later Horstmann on production tanks) and the Fire Control System specified was to be the new Improved Fire control System that was just being introduced into the British Chieftain fleet, an excellent system for that time. The Shir 1 would however suffer production delays. There were problems with the new TN37 gearbox and these delayed both the Shir 1 and the definitive Iranian MBT which was to be the FV4030/3 Shir 2 (scheduled to be the first production Chobham armoured tank). Meanwhile the UK itself desperately needed a new tank to be developed after the collapse of Anglo-German project for an FMBT, and this became General Staff Requirement (GSR) 3572 Replacement of Chieftain Tank. Unusually, the decision to replace the Chieftain was given a vast amount of publicity, with the Daily Telegraph running headlines that intimated that millions of pounds were being spent to develop the new MBT for the UK (given that the parliamentary enquiry into the L60 and its problems occurred that same year, 1978, it is easy to see why this may have been a public relations exercise by the MoD). The new tank project was officially designated MBT80, which loosely referred to the decade in which the new MBT would enter service. No sooner was GSR3572 issued than it was surrounded by media hype, which quickly extended to the production of an A4 size brochure with a speculative drawing of the new tank on the cover, which looked suspiciously like Shir 2; this brochure was given to virtually every AFV crewman in BAOR. As an exercise in propaganda it may have served a certain purpose, but the MBT80 project had little substance as of yet, and remained years away from producing a definitive MBT. The newspapers were having a field day over the MBT80 announcement. But the problem was that it was just that, there were no finalised drawings, no officially confirmed ideas, no prototypes... just an announcement.